From lightning storms to tornadoes, there are many myths that are widespread among homeowners. To help keep your family and home protected, it is important to know accurate severe weather facts. Ranging from interesting facts to unusual myths, the following list includes several facts about severe weather. Myth: Lightning does not strike twice. There is nothing to stop lightning from striking the same person, or place twice. The Empire State Building gets struck by lightning about 100 times every year! Tall buildings are especially prone to lightning strikes. During a thunderstorm, buildings can get struck by lightning multiple times. Myth: I can’t be affected by lightning if I’m in a building. Unfortunately, you can still be harmed by lightning if you are inside a building. Telephone lines, electrical wires, plumbing and metal door frames can all conduct lightning. Is it safe to avoid using telephones or electrical appliances during a storm, also avoid taking a shower or a bath. Myth: There is no rain or clouds, so I am safe from lightning. Lightning is not confined to storms. Even if the sky is clear, lightning can still strike miles away. While it is less common for lightning to strike far away from the storm, it can happen. In some cases, lightning has hit buildings or people up to 15 miles away from the actual storm. Myth: Pickups and large vehicles will make it through flood waters. For some reason, this myth continues in popular culture. People believe that a larger vehicle can drive through deeper water. Unfortunately, a vehicle can float away in just two feet of water. Never drive through floodwaters during a storm. Myth: Flash floods only happen along streams. Flash floods can occur in dry creek beds, urban areas and locations where no streams are present. Flash floods are dangerous. Do not assume that the water will only flood areas near waterways. Myth: Storms and tornadoes always move toward the east. Thunderstorms and tornadoes flow in different locations based on the wind and the atmosphere. While it is more common for a storm to move from the west to the east, tornadoes are especially erratic. 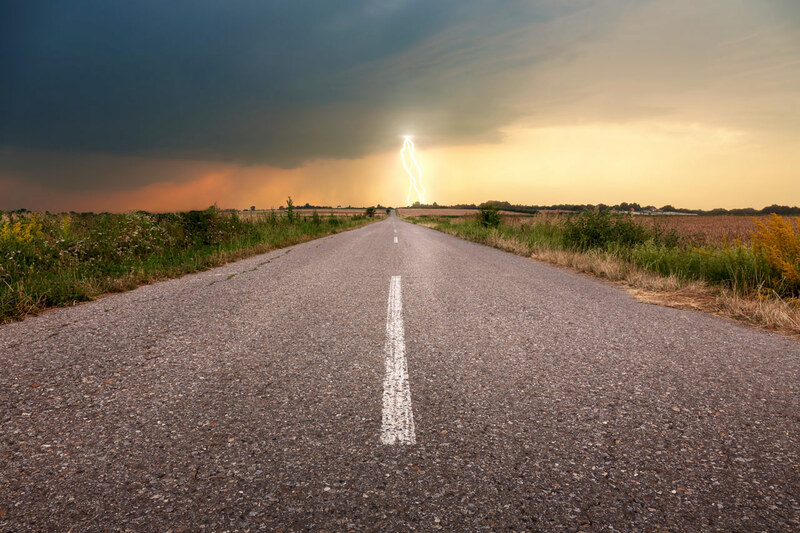 They can change direction at any moment, so you should never try to outrun a storm in your vehicle. Myth: Highway overpasses are a safe place to wait out a tornado. Overpasses will actually concentrate a tornado’s winds. This makes the wind stronger under an overpass than it would be somewhere else. If the overpass does not withstand the storm, falling concrete and building materials pose a serious threat to anyone underneath. Find a place to wait out the tornado, ideally below ground level, such as a ditch. Myth: A house can’t explode if you open windows during a tornado. This myth is entirely untrue. While some people expect an open window to lower the pressure in the homes, it is unlikely to have any positive effect. Homes are not airtight, therefore closed windows do not stop the flow of air. In reality, the violent winds of the tornado and flying debris are the most common causes of building damage. Stay away from the windows and exterior walls to keep yourself safe from any flying debris. Myth: Windier hurricanes cause the most damage. While a hurricane’s winds can have a devastating effect, it can cause damage in other ways. Storm surges and flooding are responsible for half of the serious injuries (and worse) from a hurricane. Even if the hurricane is not significantly windy, the storm surges can cause excessive damage. ALE Solutions monitors weather activity 24/7/365. In anticipation of the storm’s path, ALE reserves hotel rooms in advance, in ensure availability in periods of high demand. 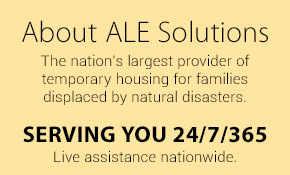 Learn more about ALE Solutions disaster response.